Analysis: The 2016 second-round pariah has been given plenty of chances in the NFL, failing to stick with the Jets, Raiders, Eagles and Bengals. Having spent the last few months with the Memphis Express of the Alliance of American Football, Hackenberg discovered a mechanical flaw in his throwing motion that was affecting his accuracy. It'll be interesting to see if any NFL teams come calling this offseason to learn if the Penn State product has indeed turned a corner in his development. Analysis: Hackenberg was released from the Bengals' practice squad in early November, but he's found a new home in the newly formed league. He was selected in the second round of Tuesday's quarterback draft and will be slated to compete with the likes of Troy Cook, Zach Mettenberger and Brandon Silvers. Should he win the starting job, Hackenberg could get an opportunity to prove to NFL scouts that he's worthy of a roster spot come 2019. 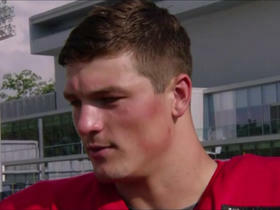 Analysis: Hackenberg joined Cincinnati's practice squad during the beginning of the 2018 regular season, but he was ultimately unable to stick with the unit. The 2016 second-round pick will look to earn a depth role elsewhere in the league. Analysis: Hackenberg spent the offseason in Philadelphia but failed to secure a spot on the 53-man roster. The former 2016 second-round selection will now join his fourth different team. Analysis: Even with Carson Wentz (knee) and Nick Foles struggling through injuries all preseason, Hackenberg was unable to carve out a backup position. The 2016 second-rounder moves on from his third team of the offseason after being traded by the Jets and cut by the Raiders. Hackenberg will be an unrestricted free agent if he clears waivers. The Eagles signed Hackenberg to a contract Sunday, Tim McManus of ESPN.com reports. 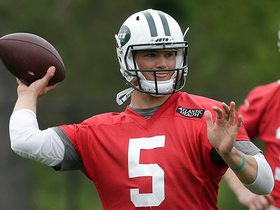 Analysis: Philadelphia is an interesting landing spot for Hackenberg. Upon his arrival, he may receive a far amount of snaps with Carson Wentz (knee) and Nick Foles (neck) on the mend. That said, it'd be a surprise if Hackenberg beats out Nate Sudfeld for the No. 3 job due to his experience in the system. Hackenberg was waived by the Raiders on Tuesday, Ian Rapoport of NFL Network reports. Analysis: Hackenberg was acquired by the Raiders in a trade for a conditional 2019 seventh-round pick with the Jets, but it appears Oakland quickly realized it had no use for the quarterback on the roster. With Hackenberg's release, the Raiders get back the seventh-round pick they originally traded, and Hackenberg will be an unrestricted free agent should he clear waivers. Hackenberg was traded to the Raiders on Tuesday in exchange for a conditional 2019 seventh-round pick. 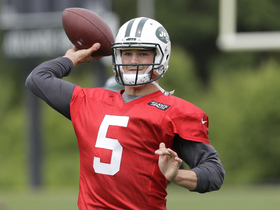 Hackenberg could lose his roster spot this offseason, ESPN.com's Rich Cimini reports. Hackenberg might get some playing time Sunday against the Patriots, Rich Cimini of ESPN.com reports. Analysis: While still committed to Bryce Petty as the starter, Jets head coach Todd Bowles acknowledged that Hackenberg could be used as a mid-game replacement. It's increasingly clear that the Jets don't view either player as a potential franchise quarterback, but there's no harm in giving Hackenberg a brief look, given that Petty has completed less than half his passes and produced just 4.1 yards per attempt. 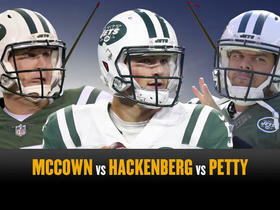 Hackenberg can't possibly be much worse. 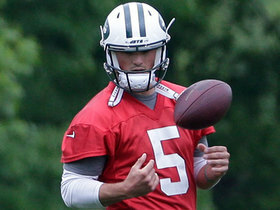 Jets head coach Todd Bowles said Wednesday that there isn't a scenario "right now" where Hackenberg plays over the team's final three games, Manish Mehta of the New York Daily News reports. Hackenberg could get a look before the end of the season if Josh McCown can't play with a broken left hand, Rich Cimini of ESPN.com reports. NFL Network Insider Ian Rapoport explains why the Oakland Raiders cut quarterback Christian Hackenberg. 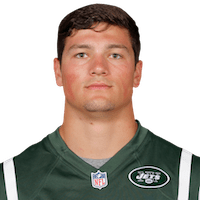 The New York Jets have traded quarterback Christian Hackenberg to the Oakland Raiders for a conditional 7th-round draft pick in 2019. NFL Network's Mike Garafolo explains why the New York Jets decided to keep quarterback Christian Hackenberg and release Bryce Petty. 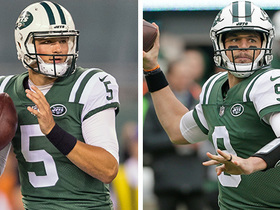 NFL Network's Mike Garafolo breaks down which of the the New York Jets' quarterbacks stand the best chance to make the team in 2018. 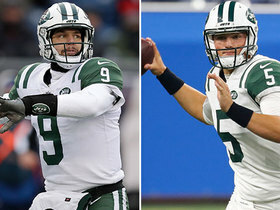 NFL Network's Kimberly Jones reports that the New York Jets are likely to pursue a quarterback in free agency or the draft. 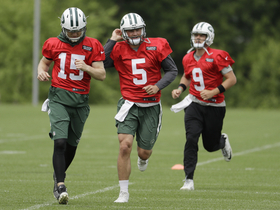 The "Good Morning Football" crew talks about which Jets QB is winning the preseason battle so far between QBs Josh McCown, Christian Hackenberg and Bryce Petty. 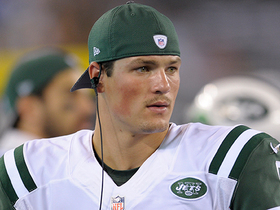 New York Jets quarterback Christian Hackenberg chats about avoiding turnovers and his approach to winning the starting job. 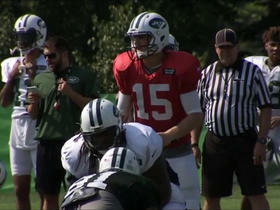 NFL Network's Kimberly Jones breaks down the New York Jets' quarterback competition and who has the edge so far in training camp. NFL Network's Judy Battista brings the latest on the Jets QB competition between Josh McCown, Bryce Petty and Christian Hackenberg. Buccaneers offensive tackle Donovan Smith talks about Jets QB Christian Hackenberg and what the Jets can expect from Hackenberg in 2017.